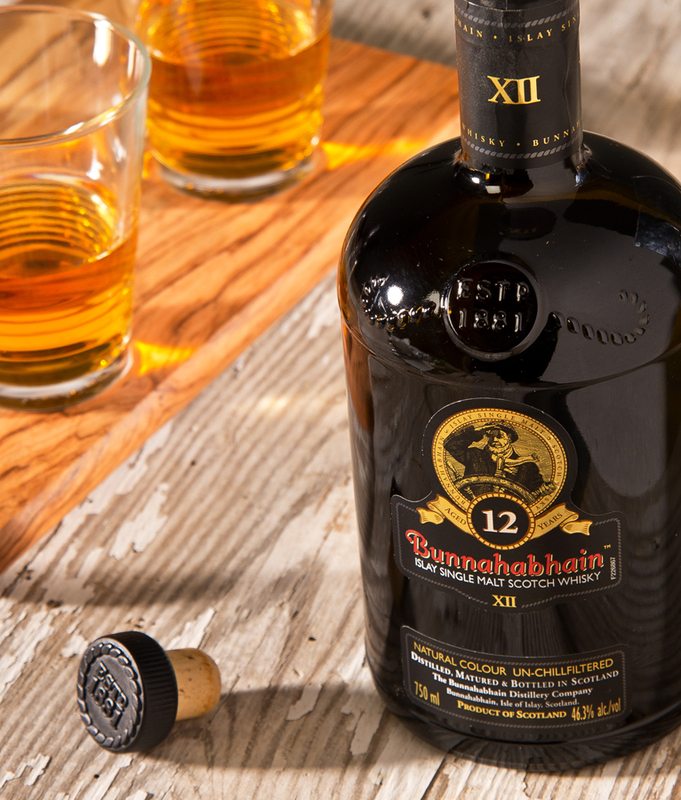 Bunnahabhain 12- For an Islay malt, this one defies all the norms. This is a wonderfully traditional mellow fellow which claims that its non chillfiltering technique insures that we get all the powerful flavors and aromas without the harshness and drama . There is only a faint whiff of peat in the nose and I found something tasting like a pear salad in the middle of the glass, quite unique indeed. The fruit flavor is surrounded by vanilla and malt in equal measures. There is an unusual ” lightness” to this scotch which I would never expect based on the tar black bottle it arrives in. You will impress your malt loving friends if you learn to pronounce it properly and order accordingly , it’s like the secret handshake or the magic decoder ring, instant cred in the bar. So with the holidays rapidly approaching, now is the time to ready your bar for all the usual celebrations and this one needs to be at the top of your list. And that other mellow fellow that wears the red suit…. he or she would undoubtedly like a good suggestion for under the tree. I rate this smoothy a warm 8 and wish you all a most cheerful holiday season.